For any of you Ottawa readers or visitors to Ottawa this beach is a must! 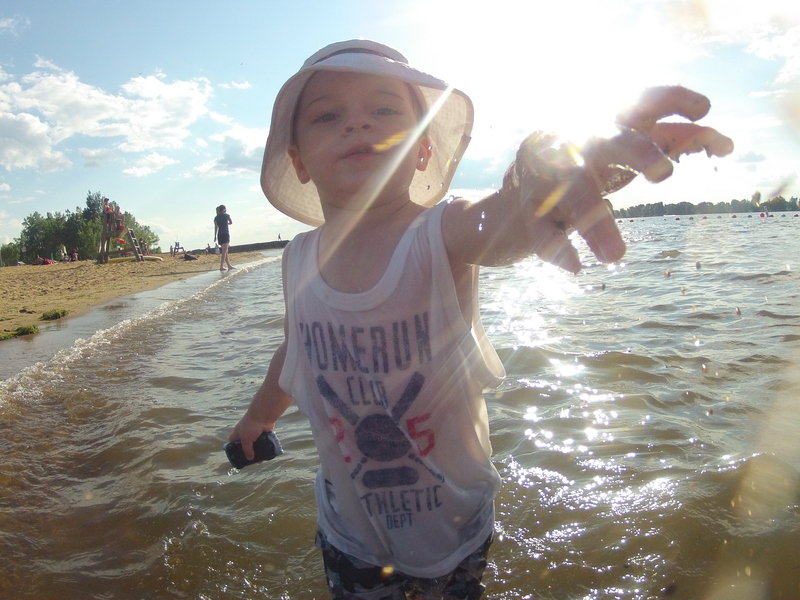 We spent our sunny Saturday at Ottawa’s best kept secret: Petrie Island! As a girl who grew up on the beaches of the Okanagan I have to say I was VERY impressed with this riverside oasis. After being here for two summers now without participating in any beachy activities the heat got the best of us this weekend and we had to find a solution. Naturally, I messaged my best source for all things Ottawa: the Keep’s! Conveniently, they too were wanting to go to the beach and had just the place in mind. We packed up our chairs, picnic basket, and snacks and got ready to go! Now as someone who grew up on lakes and the Pacific Ocean, I was concerned about the concept of a river beach. So much so that we didnt bring towels, and CWM didnt bring a bathing suit because we both figured there was no way we would swim. We both anticipated sitting on grass overlooking a river. 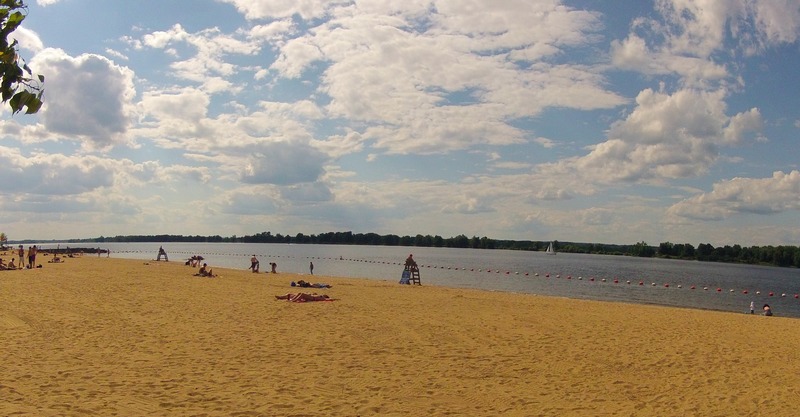 We could not believe when we pulled up to a huge white sandy volleyball court lined beach on the side of a calm, warm, breezy, arm of the Ottawa river! Everyone spent the day snacking, sun bathing and relaxing. I was lucky enough to spend the afternoon with the littlest Keep who has only recently discovered swimming in anything other than a bathtub. The water was warmer than our pool at home, calm enough for a 2 year old, and crystal clear! I am so thank ful for our dear friends to have shared their afternoon, their little boy, and their favourite beach with us! wow! this is gorgeous! I will be checking this out the next I am visiting you both.